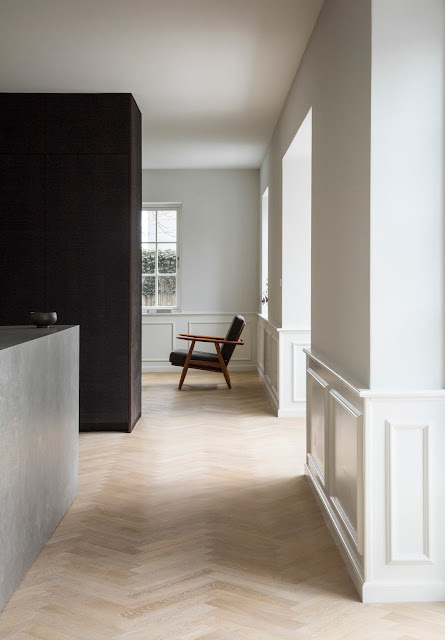 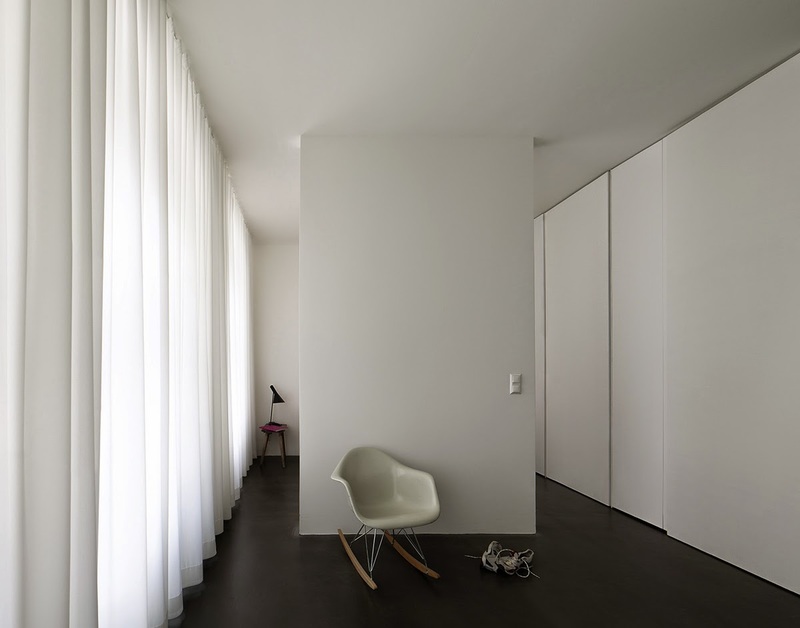 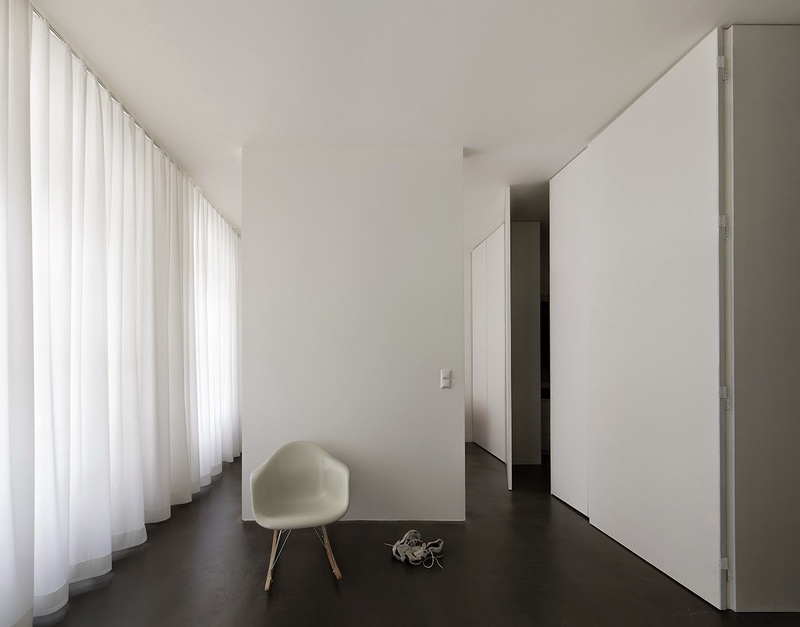 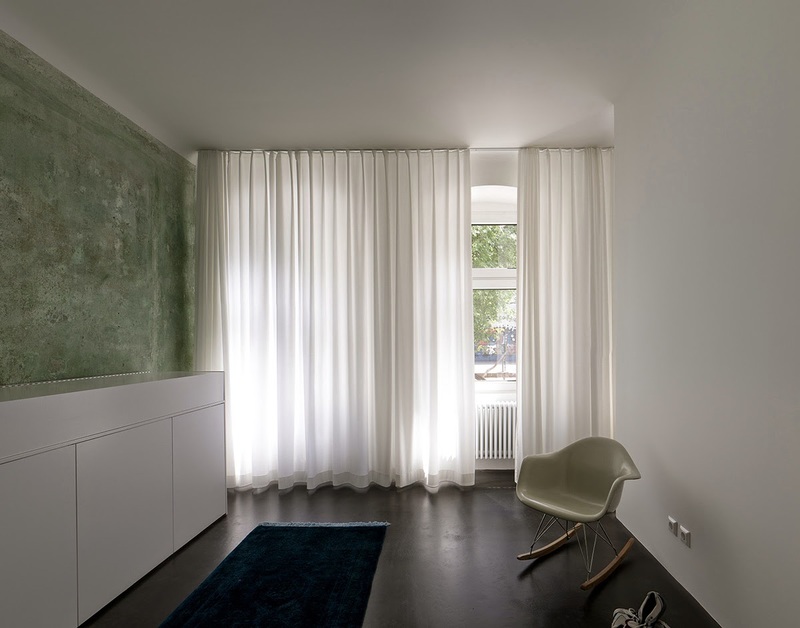 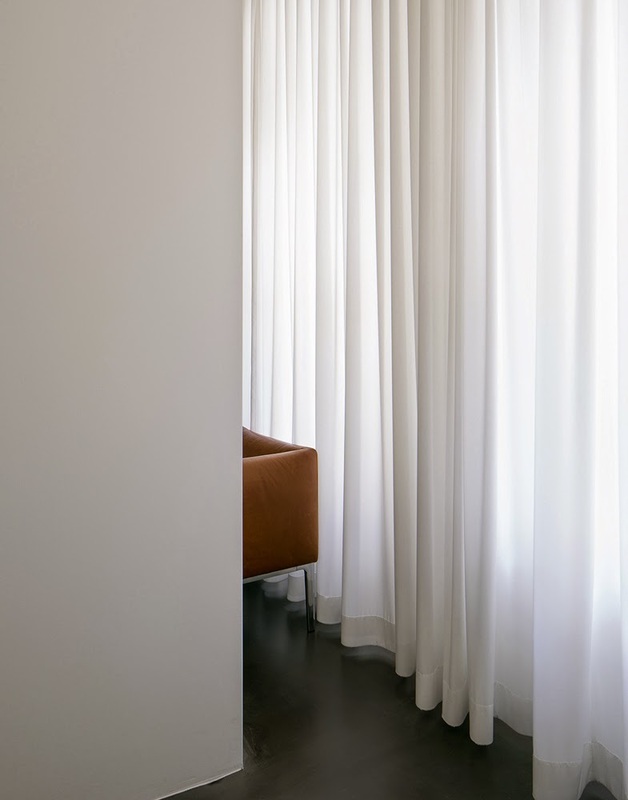 Jan Rösler Architekten reorganised a Wilhelminian style apartment in the trendy district Kreuzberg in the centre of Berlin. 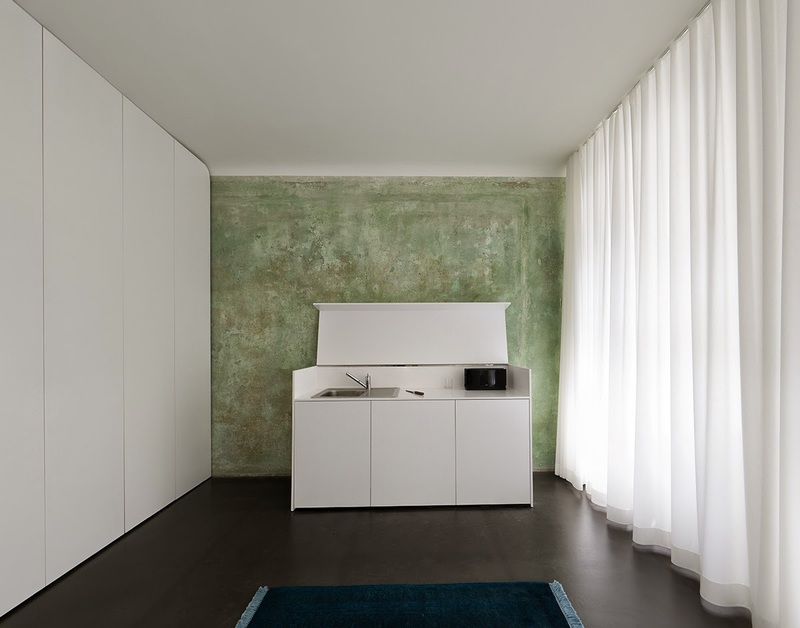 New elements are combined with the original charm of the apartment through a minimalist approach. 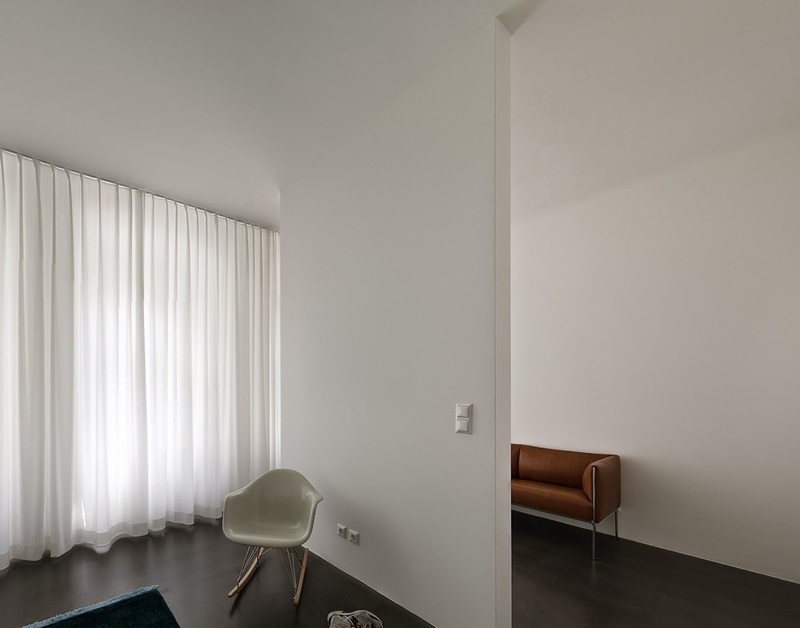 The Mini Apartment is located in the trendy district Kreuzberg in the heart of Berlin, Germany. 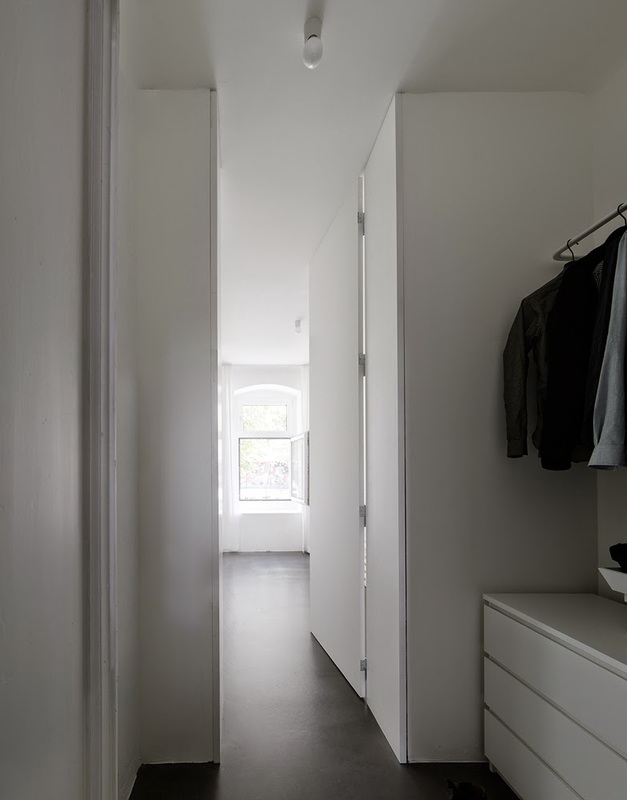 It used to be a bigger apartment in a Wilhelminian housing complex which hast be separated into different mini apartments. 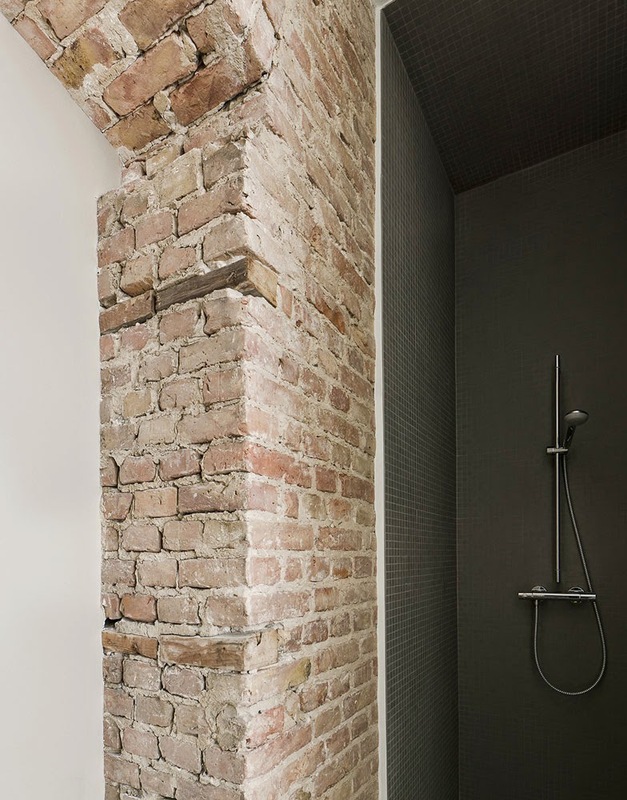 Some of the original charm has been preserved and goes along with new and modern elements. 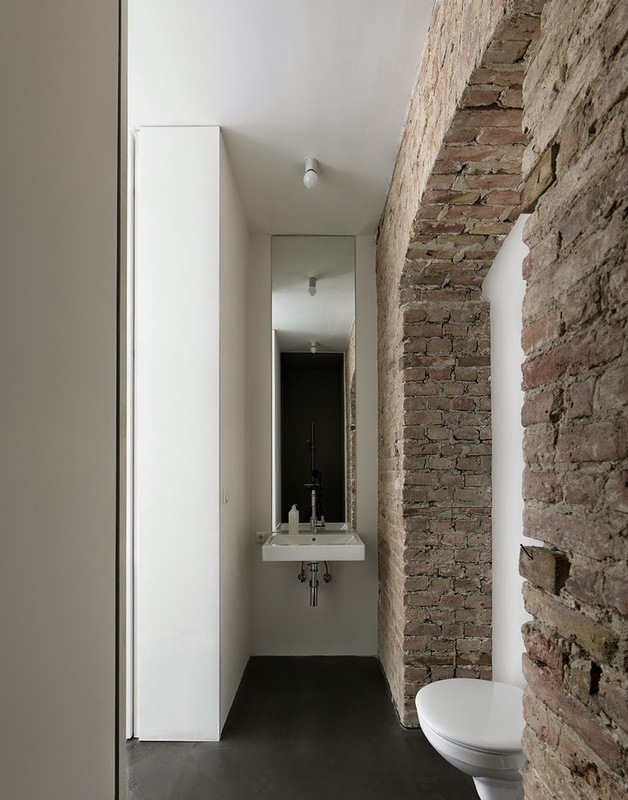 On a total floor area of about 25 sqm there is a kitchen, living room, bedroom and bathroom. 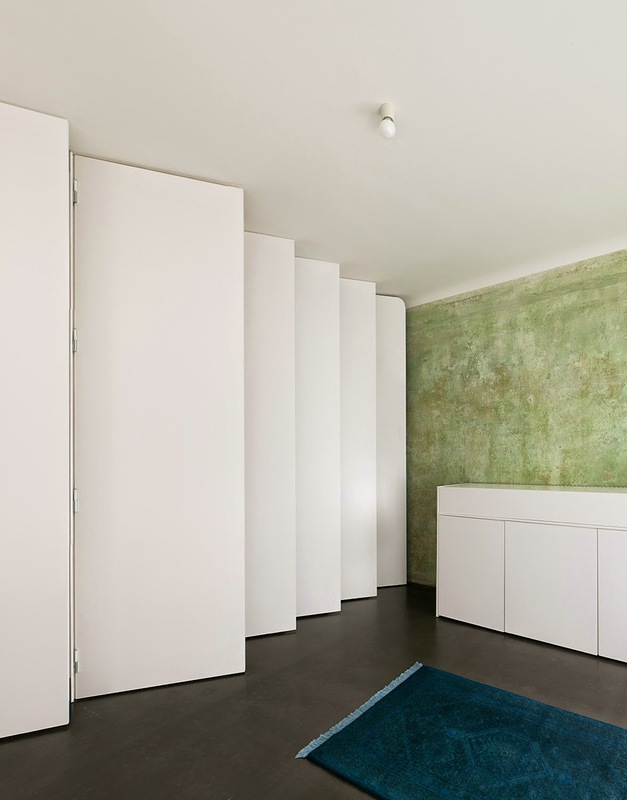 A long wall of cupboard from floor to ceiling contains the dressing and storage in the same way as dividing de different parts of the apartment. 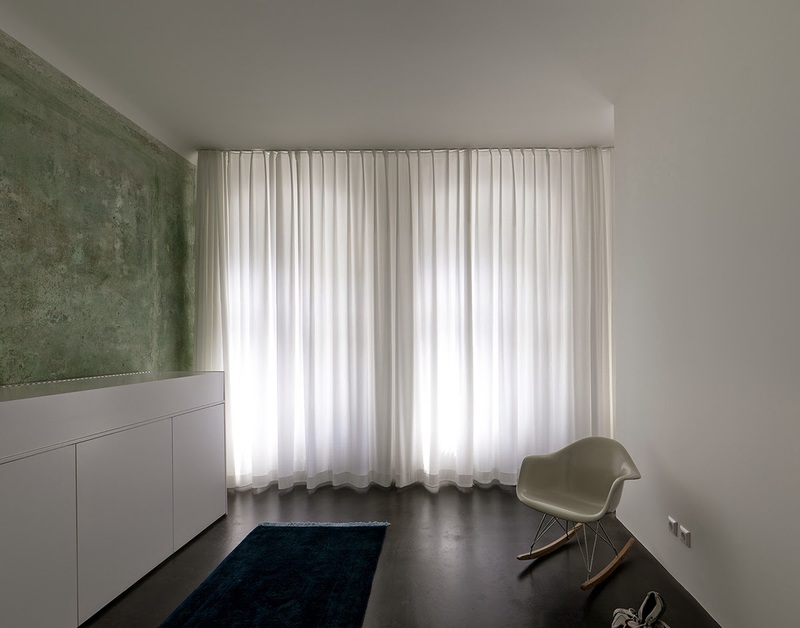 The Project was finished in 2014.